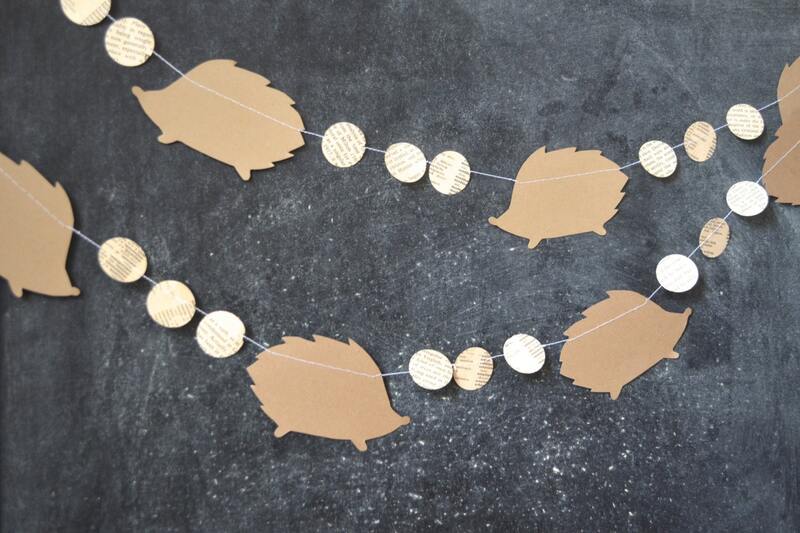 What is it about hedgehogs that is so endearing? 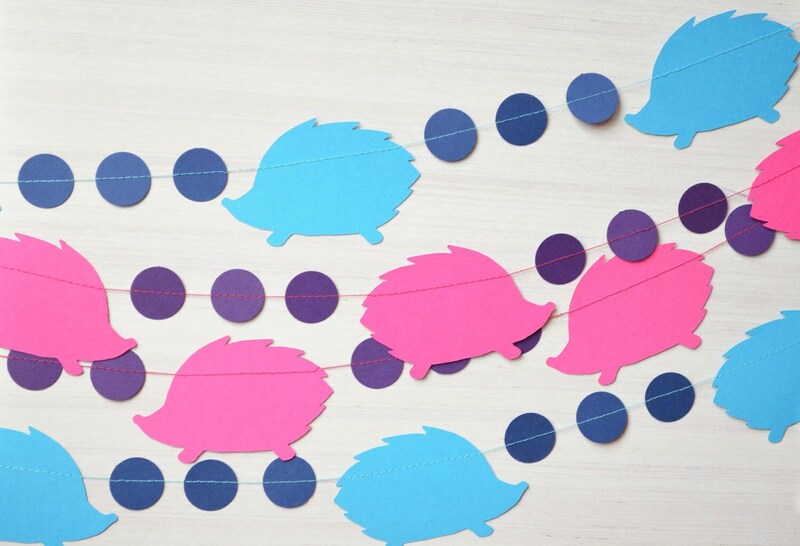 I don't know, but they sure are cute - and add the perfect finish to any decor! 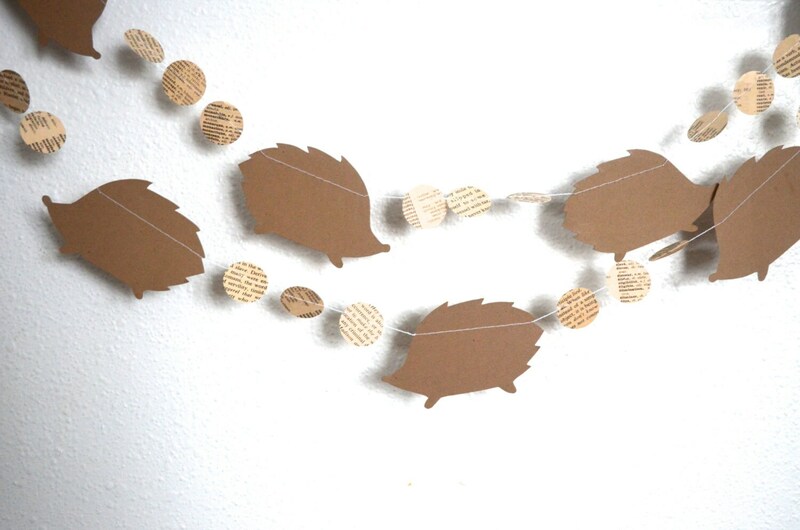 Hedgehogs are quickly becoming the new owl when it comes to decorating, and it's easy to see why - they're just too adorable! 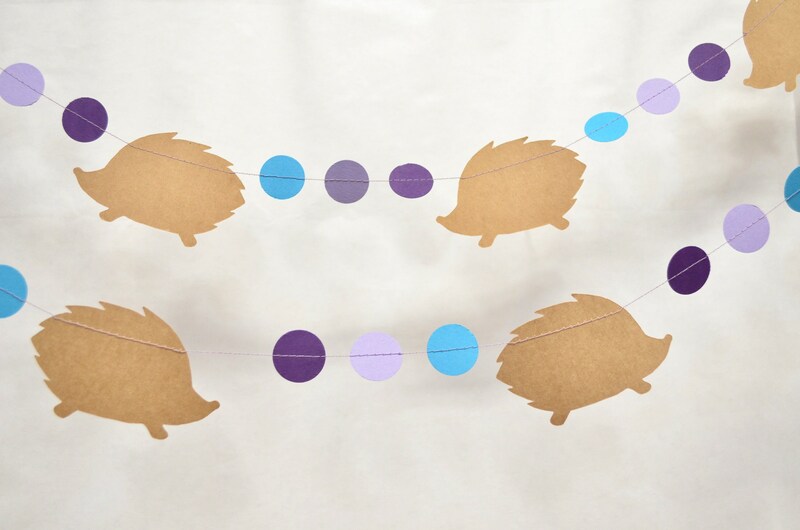 This sweet 10' long garland is made up of neutral colored hedgehogs and circles. 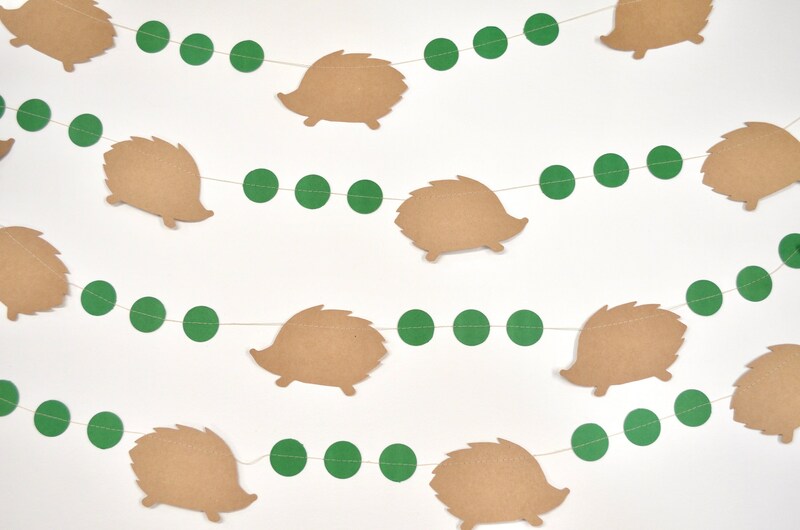 Each hedgehog is about 3.75"Long x 2.40"Tall. 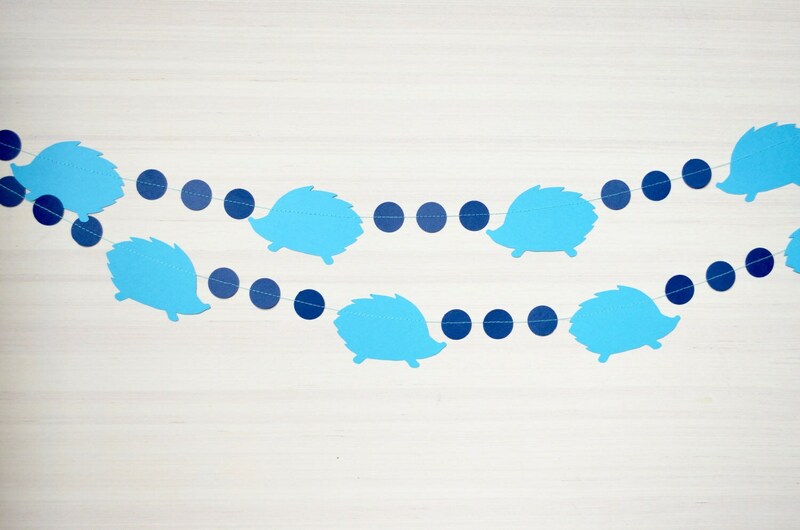 We sew loops of satin ribbon to the ends for ease of hanging. 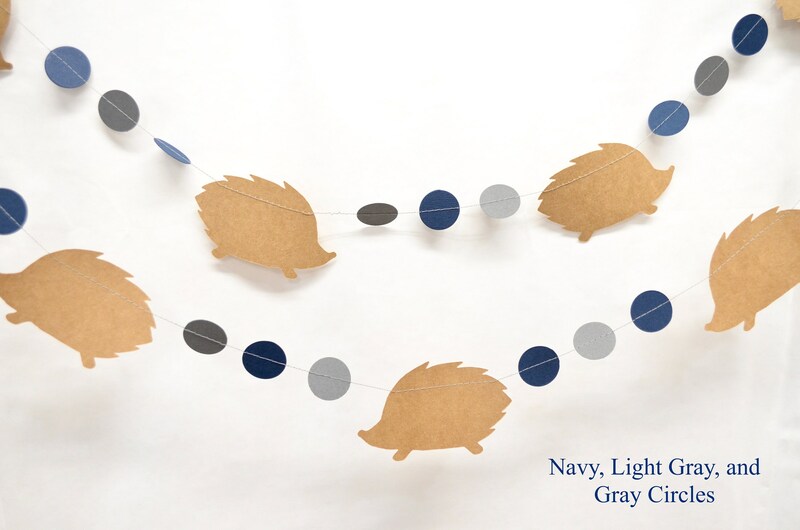 The hedgehogs and circlers in this garland can be made in any color or combination of colors - if you are interested in something specific please ask! 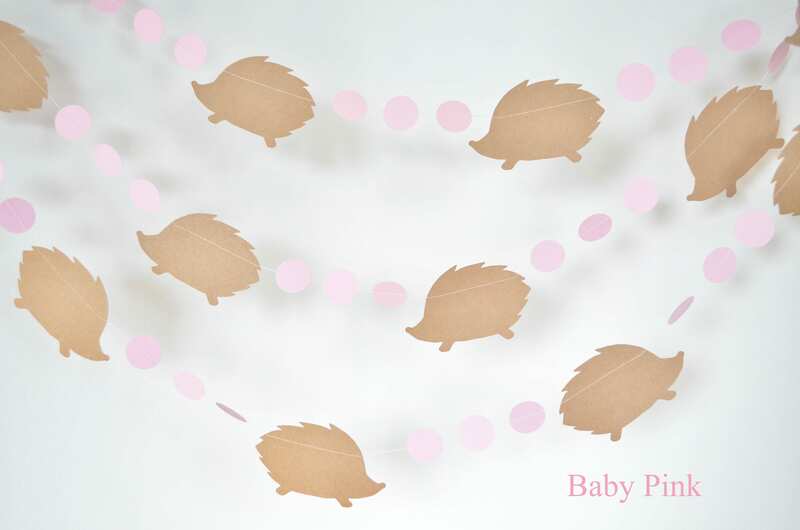 SO adorable for baby shower decorations! So very cute! Beautifully crafted and packaged. 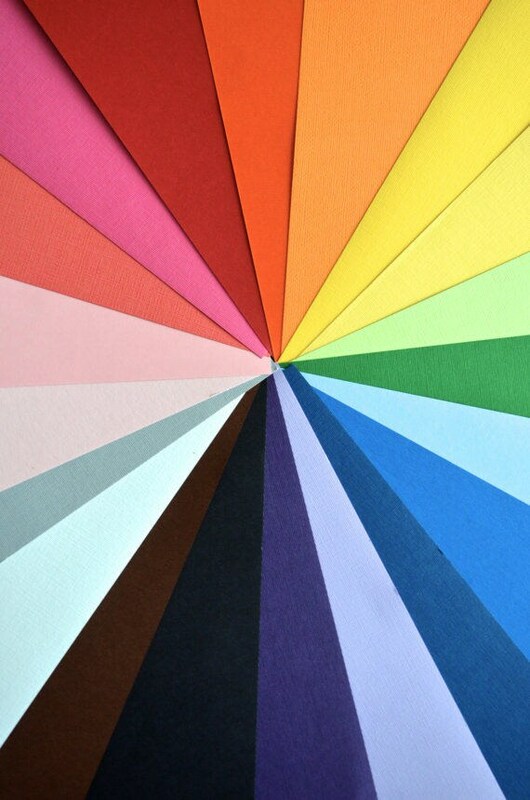 I look forward to hanging them for my sons first birthday. Thank you!